Commerce and Industry Minister Suresh Prabhu held a meeting with @investindia team in New Delhi and deliberated on promoting investments . 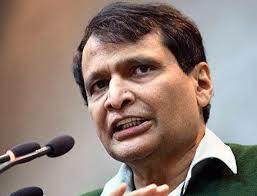 Aligning with the idea of rolling out the red carpet for investors he called for a paradigm shift in approach for enhancing investments .Shri Prabhu called for a proactive approach to reach out to global companies .In a bottom-up approach the Minister called for preparation of district wise plan and creation of core competencies for states based on district wise plan. He said India’s long coastline is a natural advantage.He asked to also focus on India’s coastline for bringing in investments .Prabhu also called for giving stress not only on @makeinindia but also on Design In India to be present in entire value chain .